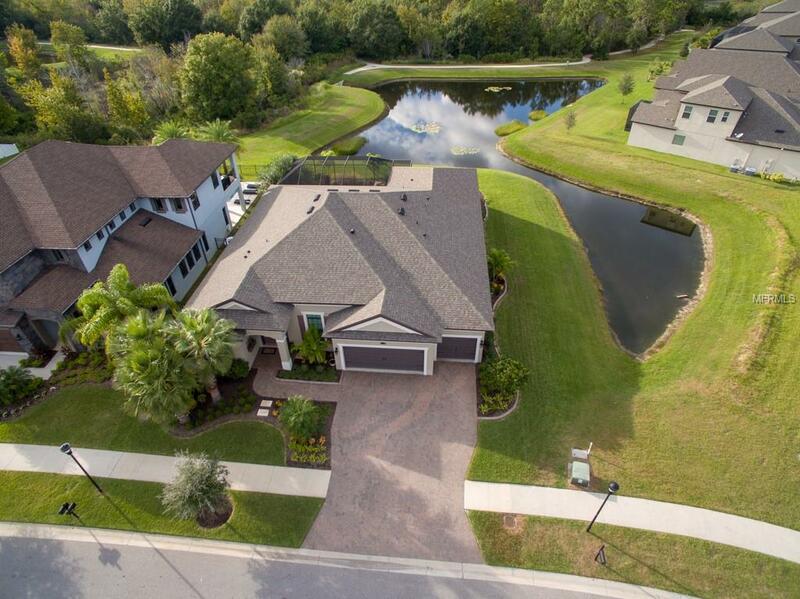 PRESTIGIOUS ADDRESS & FANTASTIC GATED COMMUNITY! 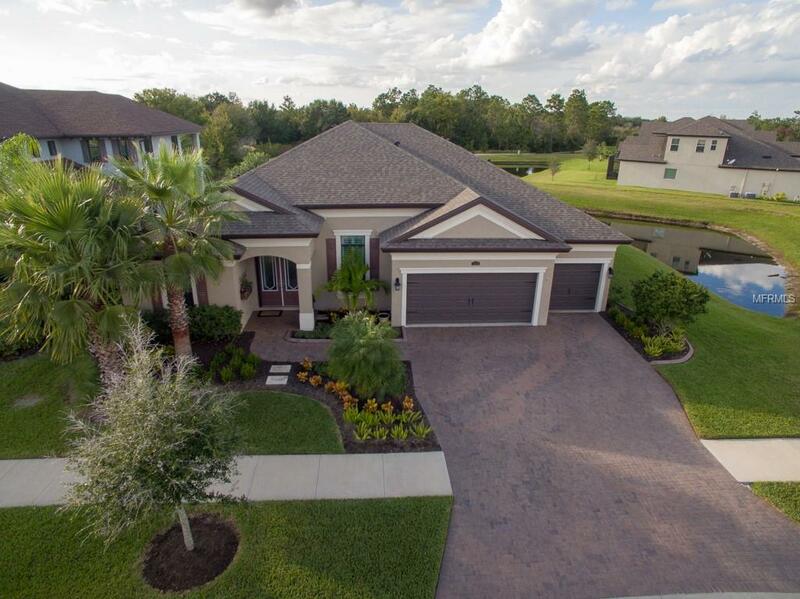 Gorgeous 3181 SQ FT 4 BR 3BA 3 car garage WestBay Built Key Largo model offers so much versatility & functionality w/ a den, a bonus room & a Heated Jacuzzi/Dipping Pool. 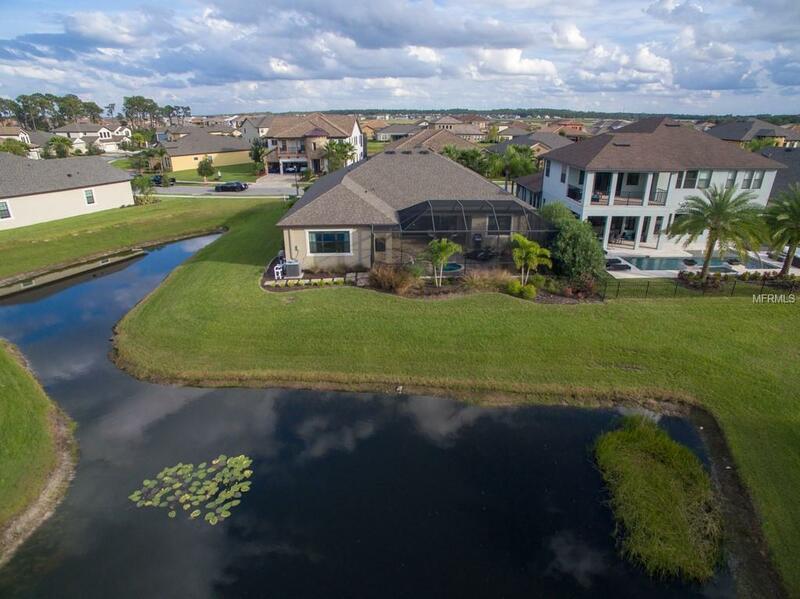 Situated in sought after Waterleaf Community on one of their beautiful ponds & conservation area that hosts beautiful sunset views. This magnificent home welcomes you w/ dramatic double door entry way, soaring ceilings & hardwood floors into the delightful formal dining room. A gourmet kitchen features quartz counters, large island that seats 4, upgraded SS appliances, stunning wood cabinets & more! The spacious family room looks out into the Screened Lanai through wall of 4 glass pocket sliders. The Master retreat boasts a luxurious en suite w/ garden tub, walk-in shower, separate his/her vanities & huge custom closet. 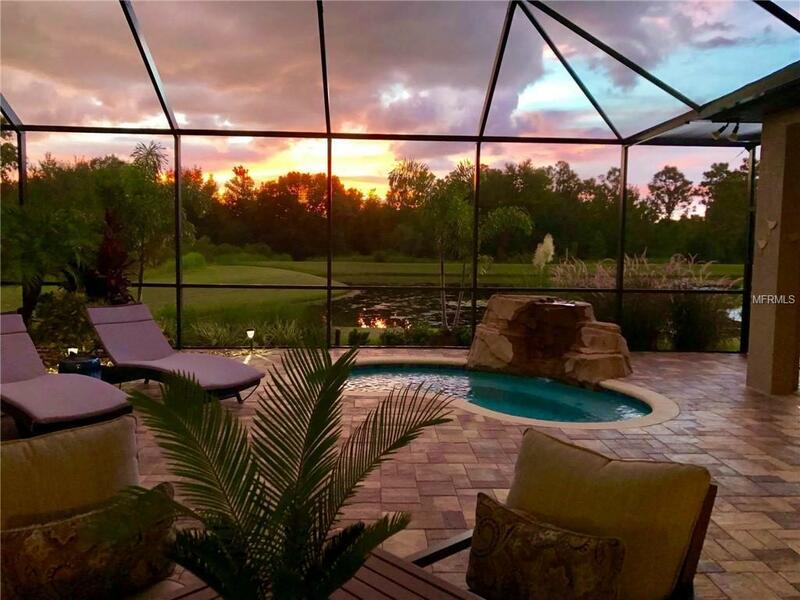 A fantastic bonus room makes for a true retreat w/ private French doors that lead to the large pavered Lanai & Pool. Truly a home for entertaining!Additionally, a full pool bath w/ a door leading to Lanai, an over-sized custom laundry room with built in cabinets & adjustable organizers, smart home, surround sound speakers, new paint inside, new window treatments & central vacuum. The upscale community of Waterleaf offers high speed Ultra-wifi, exercise stations, a fire put, dog park, playground, community pool & so much more! Conveniently located close to schools, shopping, restaurants & major roadways providing easy access to downtown, airport, sporting venues & beaches! Pet Restrictions Buyer To Verify Any And All Pet Restrictions With Association.